Thank you for this wonderful analysis. 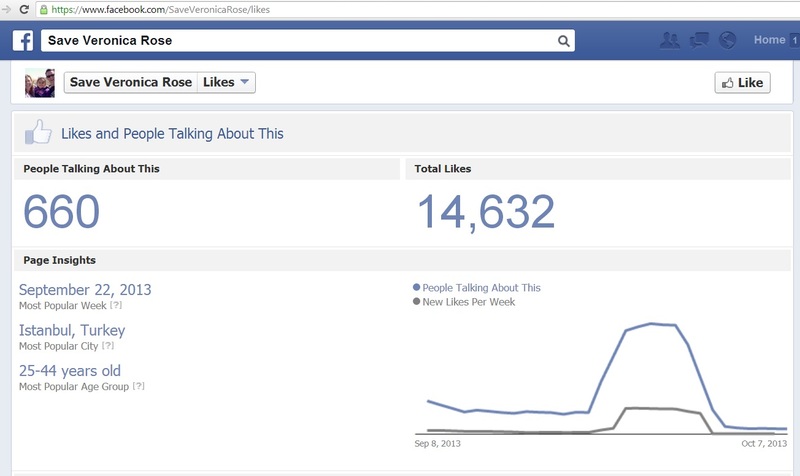 I was following the “Like” trend and did notice unexplainable spikes in the SVR page. Uncovering this truth about bought likes (from Istanbul of all places) is the “Aha” that I knew had to be hiding somewhere. The level of malfeasance and win-by-all-means mentality that this couple showed is disheartening. (I would say unbelievable, but having seen with my own eyes, sadly, nothing is unbelievable when it comes to money, politics, courts, and cronyism). Watching DB on the press conference was sad beyond measure. Are we really here? Is there really anything that can be done when fighting against a system where we don’t have the equipment, and in many cases, don’t know the rules? They’re playing for keeps. They’re getting what they want at all costs. In the end, we can scream, but will anybody hear? Keep writing, uncovering truth, and fighting for change! Hmmmmm,,,,,sad sad story for Veronica! I am waiting for the true Capo’s story to come out. We have seen a trail of lies and wrongdoings but I don’t think any of us even have a clue as to everything underhanded this couple did to win their prize. We have all learned that the truth does NOT always prevail however it does ALWAYS come to light and eventually everyone will know how truly immoral these people are. When everything comes to light, even their own supporters will turn on them. Thank you for continuing to write about this case. Thank you for continuing to bring the misconceptions to light! Nightlight Christian Adoptions has been the subject of at least two investigative articles by The Charleston Post and Courier where they looked at Nightlight in Greenville and attorney Raymond Godwin. Just go to http://www.postandcourier.com/ and search Nightlight Christian Adoptions and look for “The Price of Adoption” on Sept 21 and “Attorney Says Oklahoma Tribe Never Expressed Interest Before Infant’s Birth” on Sept 14. Raymond’s wife Laura Beauvais-Godwin heads the Nightlight offices in Greenville SC. Both Nightlight and Godwin’s law offices share the same building address at 1527 Wade Hampton Blvd in Greenville, SC 29609. Sadly more lies and proof of lies. We already knew they lied from the start but as the lies add up, it just breaks the heart for the little girl and her rightful parents. I also wonder whether Christy Maldonado’s public behavior comes from the Capobiancos having threatened her with no more visits to Veronica. She sounded very uneducated about the ICWA in her original SC court testimony and now all of a sudden she’s very well-informed and determined to change or revoke the law. If them threatening her with no more visits wasn’t enough (and it may not have been; she hasn’t exactly gone out of her way to see her daughter, as one of her visits coincided with her having to appear in court), perhaps they threatened that she would owe them back all that money they most likely spent on her, given that her bills were caught up and she was seen in a new SUV. When I heard Dusten’s news conference was pending I ran across some scuttlebutt from a SC blogger saying he’d heard from the Brown camp and that it had been implied that the charges and lawsuit might be dropped and he might be allowed to visit Veronica. If that’s true… then there’s a basis for what I’m saying about Maldonado. I strongly feel that given how easy it is to trace her background and her track record with her two older kids, that she’d have faded into the woodwork and hoped for obscurity if it’d really been up to her. You are correct. Miss Maldonado was not well spoken in the beginning yet as things progressed, by the time her statement appeared in the Washington Post, you’d have thought she was an Ivy League scholar. And she has tried to fade to obscurity. It seems to only have been where she was needed to testify or appear for publicity purposes that she’s come out. I have always assumed that Ms Moldonado’s continued support of the adoption was to protect herself from having to pay back the money she had been given when the C’s bought Veronica. I’m sure a lawsuit would have been in her future if she changed her tune and supported Mr. Brown. I just want to commend you for sticking to your guns and not backing down in continuing to bring to light all the deceit, fraud, and lies regarding the C’s and their backers. Even after someone (from what I read from you) obviously “told” on you regarding your page pictures, which I find to be a despicable move on their part. Then again, I find everything they have done and said to be despicable, immoral, and unethical. I very much admire people like you. I knew nothing regarding adoption or adoptees before hearing about this case a few months ago. I have learned so much from so many people. I have read so many stories from adoptees and every single one of them just breaks my heart. I have a young son so I am thankful to have gotten educated on so much by following this case. Thank YOU. Thank you. However, I think you have us mixed up with another blog who’s pictures were reported. We have committed to speaking out on this issue though. The C’s got what they paid for so they are done with Christy, which she will soon find out. These people are pure evil. I have just been sick about the outcome of this case. My thoughts and prayers go out to Dusten and little Veronica. Is there a way to report them to facebook, since buying likes seems to be against facebook’s policy? 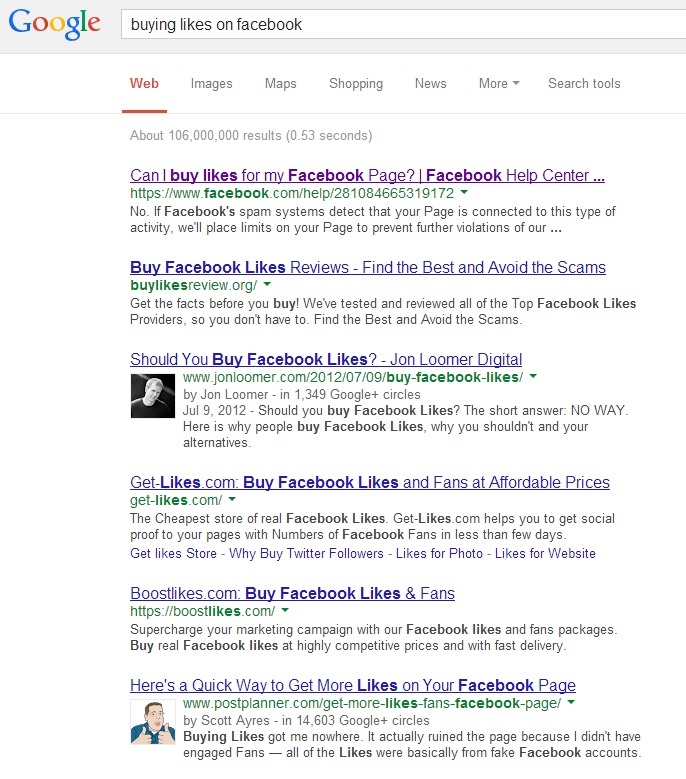 Or does facebook tacitly allow the buying of likes while it looks the other way? Wow! 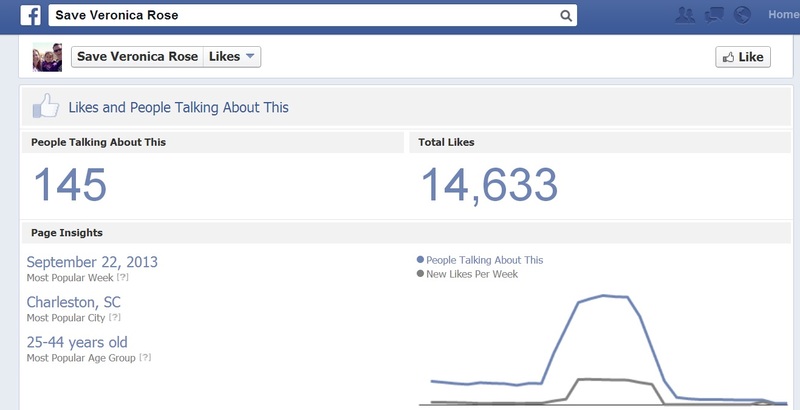 thank you for uncovering the truth about the “likes” on their page that I found so infuriating. 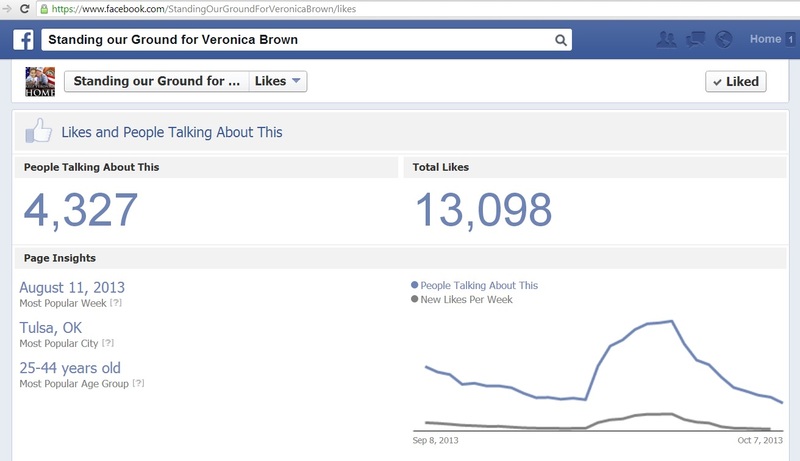 i kept encouraging our readers to “like” the Standing Our Ground page but we could never catch up. Istanbul? That means that the whole thing was a sham. Shame sham on Facebook, and as for Capobiancos, I have run out of words for their disgusting actions. They wanted what they wanted–Veronica–and nothing else mattered to them–not her mental health, not her real father, not what was what morally just. They–and Christy Maldonado, Veronica’s mother–gave adoption a truly bad name. A certain P/R firm owner has tweeted that the SVR likes have not been bought. It is kinda strange that all of a sudden it does not show “Istanbul” anymore; but shows Summerville, SC now…a little coincidental huh? Munday’s team paraded the Baby Veronica case all over national television and Dr Phil as well. Munday’s clients include the Medical University of South Carolina Children’s Hospital and MST Services in SC, which Veronica’s adoptive mother Melanie Capobianco (employed as Melanie Duncan) works with violent juvenile offenders. This is terribly ironic. If Munday and Trio Solutions and Melanie Capobianco are so concerned about Veronica’s welfare and claim to be supportive of children’s services, then they have placed this young child at the center of a media circus. Let’s not forget that Munday’s Trio Solutions also helped out with an event for the African American Historical Alliance. Now what would happen if Munday supported a white couple who wanted to adopt a black child against the bio mom’s wishes? Would Trio Solutions not be accused of racism?